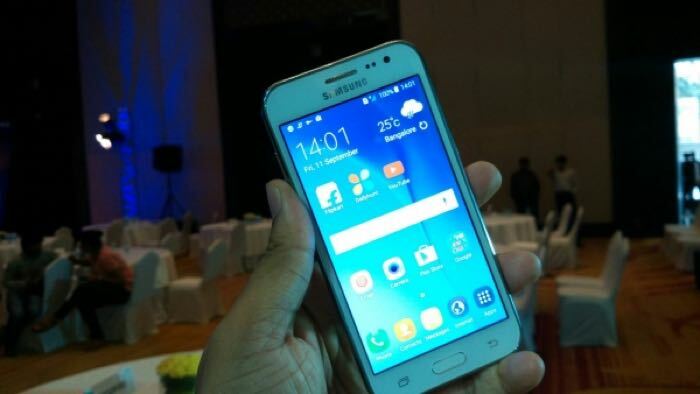 The Samsung Galaxy J2 launched last month and now it would appear that the handsets successor, the Samsung Galaxy J3 has already been spotted. A new device with the model number SM-J3109 has appeared in the Geekbench benchmarks, the device will apparently feature minor upgrades over the J2. Included in the list of specifications for the handset are a 5 inch display with a HD resolution of 1280 x 720 pixels. The device will apparently be powered by a 64-bit Qualcomm Snapdragon 410 processor and will also comes with 1GB of RAM. Other specifications in the Samsung Galaxy J3 include an Adreno 306 GPU and 8GB of built in storage, plus update cameras. 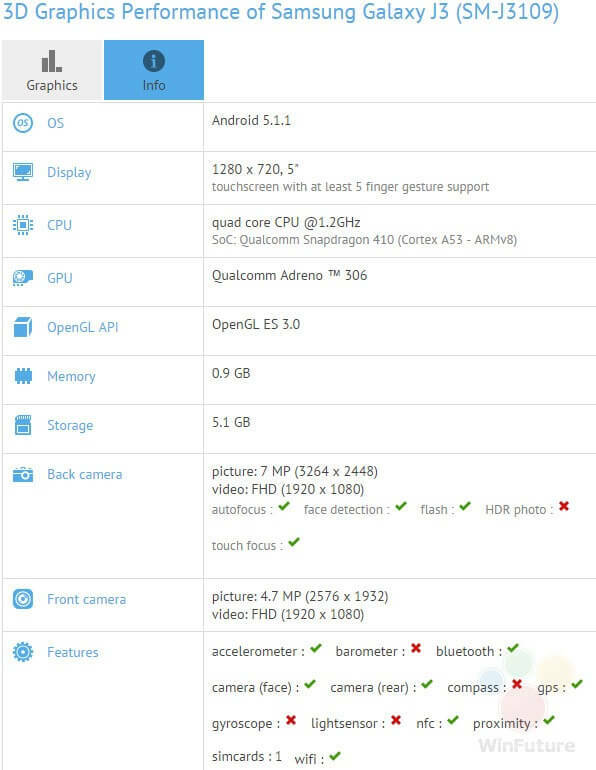 The front camera on the handset will apparently be a 5 megapixel camera and on the back there is an 8 megapixel camera which can record 1080p video, the device is listed with Android 5.1.1 Lollipop.